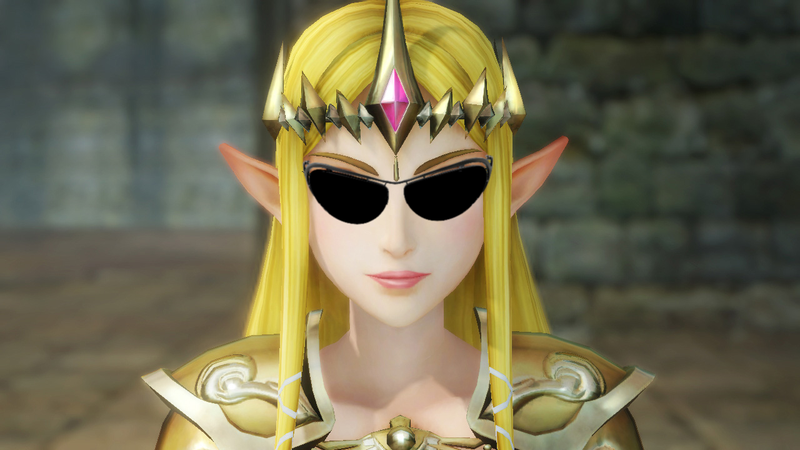 Now that I have had some time exploring all the new possibilities of the first Hyrule Warriors DLC content, it's time I share with my fellow TAYlanders what was locked away until yesterday. Horse is a new weapon for Link. Or course Horse sounds funny as hell, but we better call her by her name, Epona. Not just one, mind. You can find brand new horses on weapon bags (eh?) so there are in fact three different versions of Epona from Zelda games for you to find. Playing with Horse Epona is quite a game changer. It's riot control heaven. But why waste words when I have the power of multimedia and my video capture device? Enough horsing about, let's take a look at the bad guys. Make way for the bad guys. Bad guys coming trough. Lana's other , much less clothed half is as powerful as one could expect. Her sadistic nature is sure to please all you fetish lovers out there. The DLC also unlocks a brand new Legend mode chapters where we play from he bad guys perspective. This is something I quite enjoy and very few games use this to further the game's plot. So here is another half an hour of senseless slaughter. There always one, right? The oddball, the crazy one, the wierdo! Meet Wizzro, the freak of freaks and by far (and so far) the most unique playable character of all. He relies more on missile magic than actual physical combat (i.e. a wimp) but actually manages to keep crowds away by means of spamming magic balls everywhere. HE also has summons and a nasty X attack that grabs enemies and slams them to the ground which is very satisfying. Why are you reading what I write when you can just press play on the button below? Stop the presses! Or nowadays for you crazy IT kids, stop the TCP packets! Volga and pretty much as I was expecting is my current favourite character of the whole roster! Sorry Link, move over Gannon, hammer time no more Darunia. The Dragon Knight is the new champion around here and I think he will remain so for many more months to come. I mean, just look at the video below. LOOK AT IT! Oh if you're wondering what was up with that jingle and all the Mii's running with their arms up on my Wara Wara Plaza, I recorded this yesterday on my birthday. Just one of the cool stuff Nintendo has spoiled us for decades. The Master Quest DLC pack comes with not only all of the above but with a new costume for Lana and one for Cia. If you already completed Adventure Mode, you will be happy to find that it also comes with a brand new map to explore that will reward you with seven new 8-bit weapons and 16 (!) alternate costumes. Yes, there is Horse here but this is no Horse Armour DLC. This is a very good value-for-money add-on for people who love Hyrule Warriors but have not yet tired of the game. hey, that's me! No wonder I bought it!